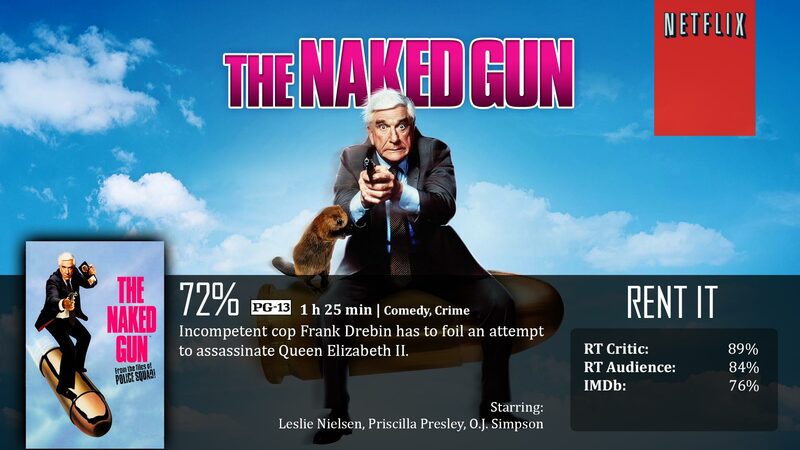 It’s actually been years since I’ve actually seen most of Leslie Nielson’s work, especially The Naked Gun, but I often refer to it as a true portrayal of parodies. In this case, it’s about making fun of police dramas/maybe a little spy drama. Though, after watching it again, I realize that that’s only partially true, the rest of it had to do with a lot of physical and random humor that Nielson is often seen participating in. Overall, it’s a decent movie, but I have my issues with it as well. The story revolves around Frank Drebin, a special operative of the “police squad”, which is a branch of the local police. It’s something in-between police, detective, and spy work. After it is announced the Queen of London would be coming to America, he and the rest of the police squad are hired to be her protection. Soon after the news of her arrival surfaces, so does a plot to assassinate the queen, and it is up to Frank and his antics to find out when and where this attempt will be made, and put a stop to it before it’s too late. Like I said, the humor in this film is very physical, random, and in your face –sometimes it has obvious humor as well. This all feels very much like what you’d expect to find out of a kid’s show, especially in the world of cartoons. Except this is more adult-themed and everything. The first thing I want to mention is that it does feel quite a bit out of date, because no one does these movies anymore. The jokes do work, but in the 21st century, the tone itself feels slightly out of tune with how the world of film works now…so more and more people aren’t going to be able to enjoy it. Especially those who don’t even know who Leslie Nielson was. It’s a dying genre in film, to be sure, which is a bittersweet testament. In some ways, I would like to see more and more of these classic-humor films, but at the same time I don’t. The past works in the past, if they were made nowadays, the likelihood that they would be successful I believe is remarkably lower, and because I review based on modern expectations and the mass audience, The Naked Gun just isn’t up to par with what it used to be. It’s cool for what it was, but in twenty years, I’m afraid people won’t remember this film or know about its existence. Leslie Nielson, however, is a God among comedic geniuses. He knew how to make people laugh up until the last days of his life. Even though I haven’t seen all of his films, I’m aware that the ones that I have seen will always stay close to me. I’m not entirely sure if I’ll get around to watching this film’s sequels, but I won’t be against watching them if I get the chance. Without Nielson, this wouldn’t have been anything special. Leslie Nielson is amazing in this role, just like he is in any of his previous roles. This is another solid cop drama parody with a lot of really great jokes. It doesn’t hold up to modern expectations; it feels old. The random, cartoony jokes work sometimes, but as far as the 21st century goes, I don’t think anyone cares for this kind of humor anymore. Frank: It’s true what they say: Cops and women don’t mix. It’s like eating a spoonful of Drano; sure, it’ll clean you out, but it’ll leave you hollow inside. 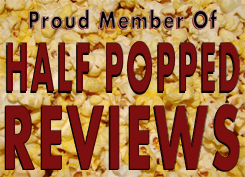 Very good review, and sadly it’s true about this brand of humor. It’s definitely a taste of the past, which is a shame because guys like Nielsen and Steve Martin did it so damn well. I think the last guy in modern movies I can really compare them to would be Jim Carrey. He’s pretty ridiculous but still not quite the same as characters like Frank Drebin!! I’m a big fan of this movie, and even both sequels. However, I fully agree with your sentiment that this brand of humor is a dying breed. It works wonders for me, others might consider it stupid, but it’s still miles ahead of more modern versions of this style like the “Scary Movie” franchise.